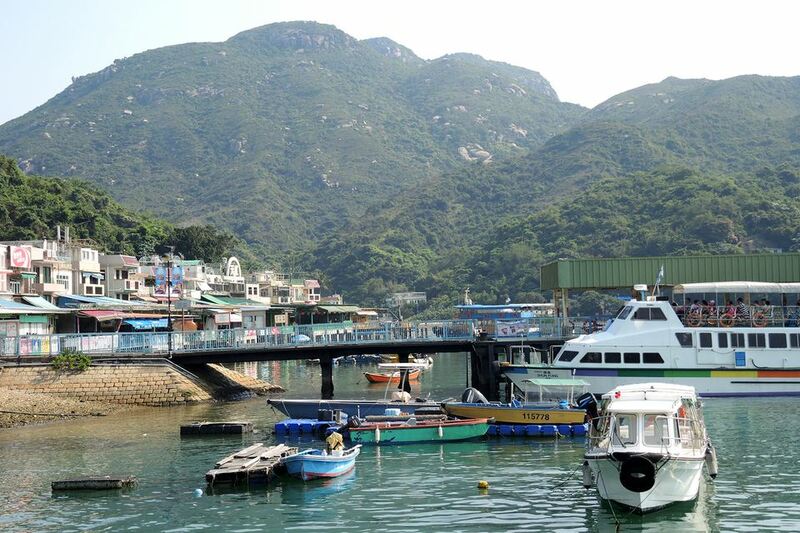 A boat ride to Lamma Island is a popular destination for nature-lovers who visit Hong Kong (HK). Featuring artisan boutiques, hipster cafes, and craft stores in its largest village of Yung Shue Wan, the island is only accessible by ferry services, boat tours, and private charters, which makes for a perfect day trip or romantic getaway from the noise of the city. Along with a few guesthouses, one hotel, and some mellow bars, Lamma Island is home to the Kamikaze Caves, miles of hiking trails, the small fishing village of Sok Kwu Wan, and Lo So Shing Beach, one of Hong Kong Island's best beaches. For ferry services to Lamma Island, you won't need to book tickets in advance except for travel during public holidays, but you will need to make reservations online ahead of time for boat tours or private charters. Keep in mind that since no cars are allowed on the island, you will have to hike across it to get check out some of these destinations if you take the ferries, which run exclusively between Hong Kong and Lamma (not between Lamma's two villages). On the other hand, boat tours and private charters will allow you to hop on and off at several popular tourist destinations around the island. The most popular ferry service for visitors runs from Central Hong Kong Pier 4 or Aberdeen Hong Kong Pier to Yung Shue Wan. However, there are also services from Central to Sok Kwu Wan, from Aberdeen HK to Yung Shue Wan, or from Aberdeen to Mo Tat Wan and Sok Kwu Wan. Services from Central to Yung Shue Wan take 20 minutes and run hourly all day (with limited services overnight), and the 35-minute ferry ride from Central to the small fishing village of Sok Kwu Wan on the east side of the island runs every 90 minutes. Aberdeen, another small fishing village on Hong Kong Island, has services to three villages on Lamma, including 15-minute service to Yung Shue Wan 11 times a day and 14 daily trips to Sok Kwu Wan via Mo Tat Wan. Instead of taking the public transit route, you could also book a ticket on a boat tour or even dine at the famous Lamma Rainbow seafood restaurant, which provides free ferry service to diners on board this floating establishment. Island Junks, a Hong Kong-based private boat tour and charter company, is the best option for getting anywhere on Lamma Island from Hong Kong, with reservation-based services to each village and destination on the island offered daily. Island Junks also provides services to Lantau, Peng Chau, Cheung Chau, Po Toi Island, the Nine Pins, Clearwater Bay, Sai Kung, Long Ke, and Tai Long Wan. If you're willing to spend a bit more money, you can also book a private speedboat charter cruise through eOasia, which offers luxury accommodations on an 8-hour tour to all of Hong Kong's best island destinations, including Lamma Island.